Entrusting your loved one to the care of a stranger can be intimidating. 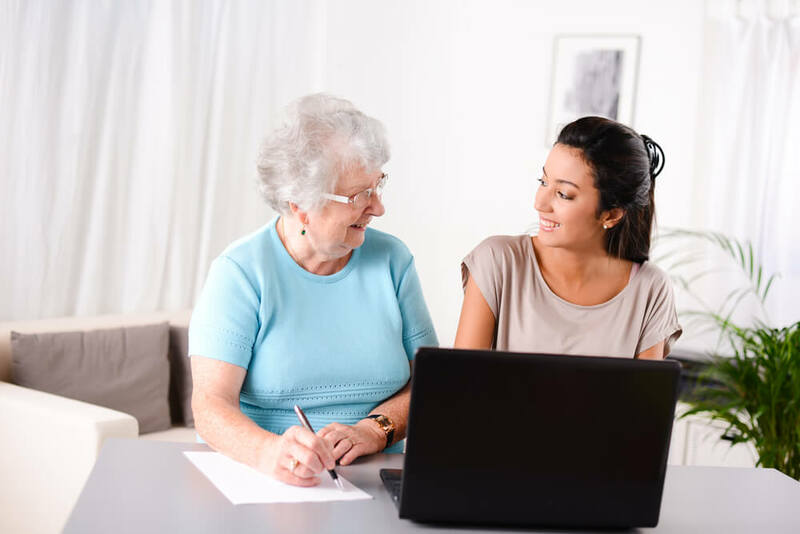 Although quality home care agencies usually have a number of vetted, qualified caregivers on staff, different agencies will have their own standards and systems. Some home care service providers make choosing the right caregiver from their staff your responsibility. Others may select a caregiver for your loved one but will switch the caregiver out if you are unsatisfied. In some cases, agencies actually send caregivers on a rotating basis, so your loved one may receive assistance from a different caregiver each day. To provide you with peace of mind and make your loved one comfortable, be inquisitive to ensure choosing the right caregiver is a smooth process. As you select an agency for home care or a caregiver through an agency, be well-equipped with helpful questions. Print this list of insightful questions to ensure the caregiver provided is the right choice for your loved one. Can we request a different staff person to provide care if we are unhappy with the worker the agency sent? Do caregivers have consistent assignments, or will the care workers change on a regular basis? Does the agency have systems in place to send alerts and replacements if a caregiver does not arrive on time or can’t make a scheduled shift? Does the agency maintain a service binder at my loved one’s home with a care plan? Are caregivers required to make notes? Can the agencies’ employees drive my loved one to appointments or social outings and, if so, are there any mileage charges? How often does staff communicate with family members and by what means (written report, phone call, etc.)? How is a caregiver paired with a client? How does the agency screen caregivers? Does the agency check references or require a state, fingerprint-based background check for all workers? Are the caregivers actual employees with benefits? How many interviews do they go through to be hired? What is the turnover rate for employees? Do they require that their caregivers have current TB test clearance upon hire? Each of these interview questions to ask potential home care agencies and/or caregivers are designed to help protect your loved one from inadequate care. Add questions of your own as well, especially any pertaining to your loved one’s unique situation. The more you ask and more information you have about home care, the more peace of mind you will have when you do entrust your loved one to someone else’s care. Armed with these questions, you can find a home care agency and caregiver equipped to meet your loved one’s needs.